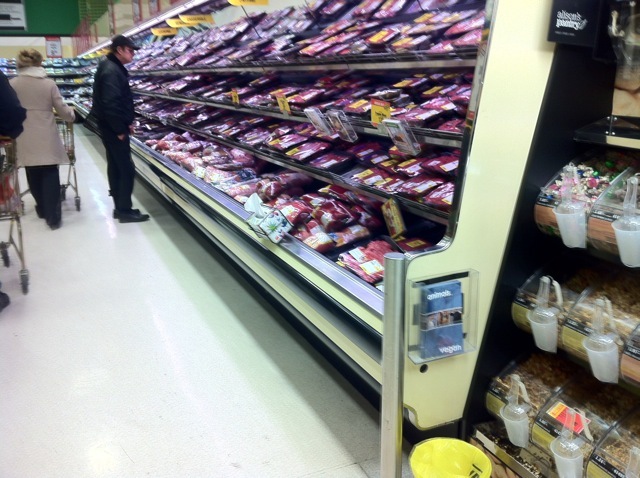 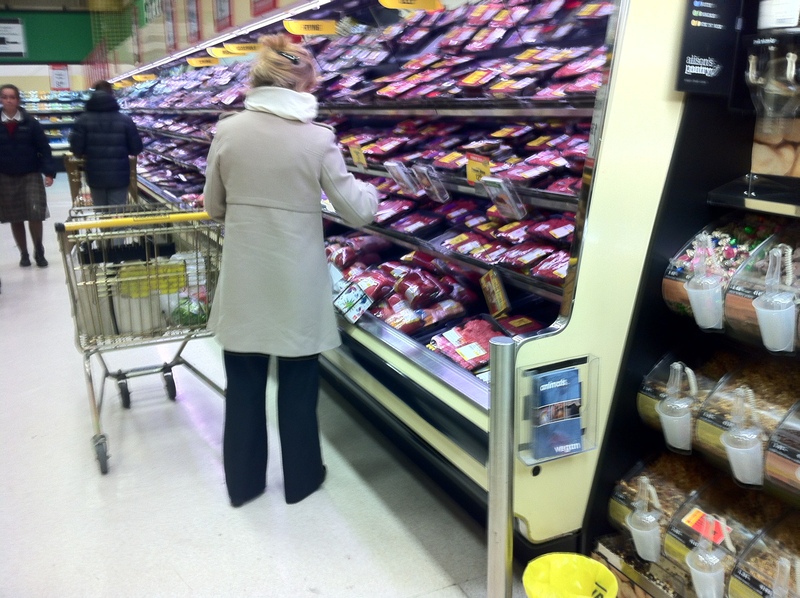 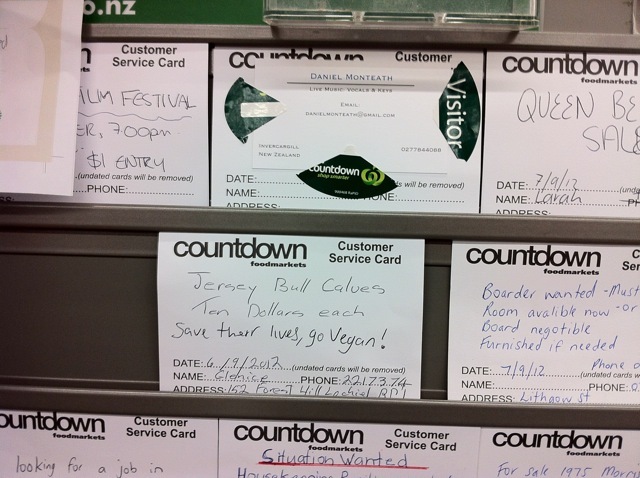 Sometimes you really want to ask people in supermarkets not to buy cows milk, hens eggs and animal flesh. 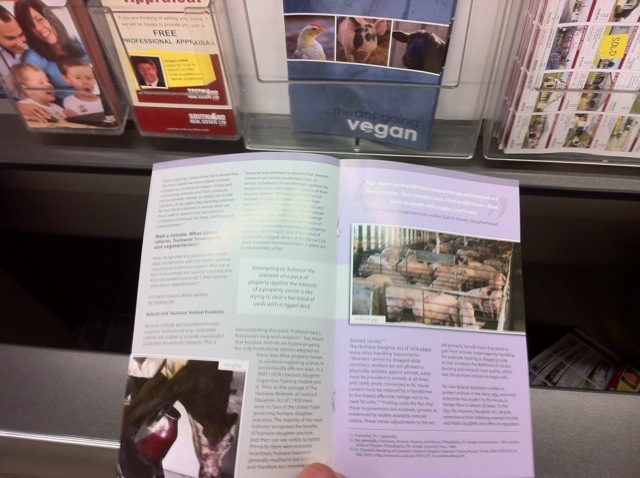 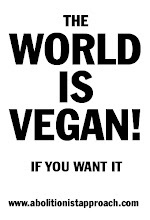 Leaving pamphlets is not quite as direct as showing someone photos of your Hen Friends and beggign them not to buy eggs or flesh, but sneaking in Animal Rights pamphlets is *slightly* less likely to get you thrown in jail :-) I use the Boston Vegan Associations pamphlet. 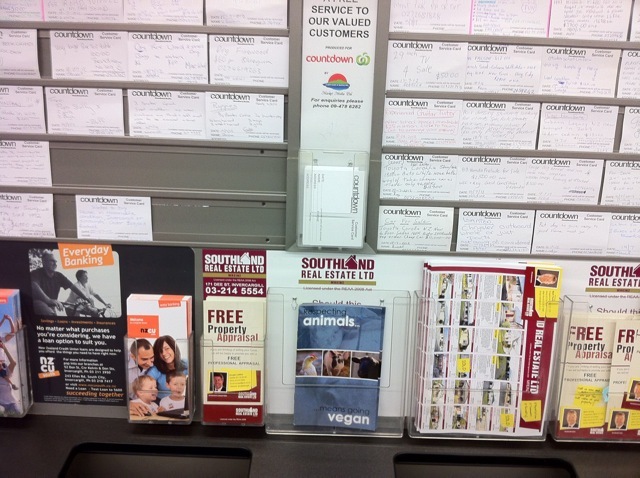 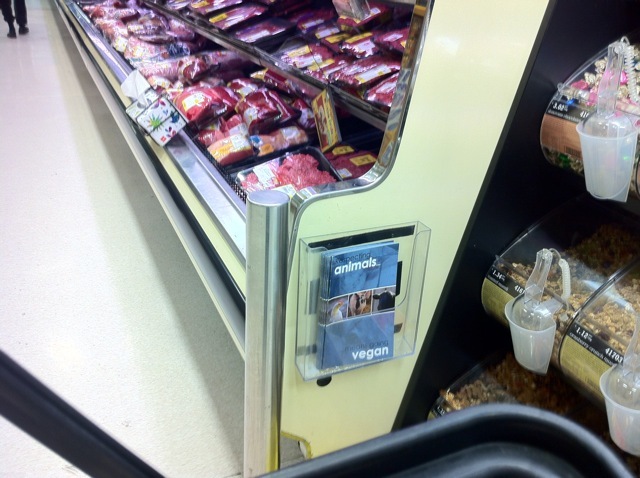 The plain clothes security guard walked past me just as I came to the "Meat magazine" promotional pamphlet rack empty in the animal flesh section! 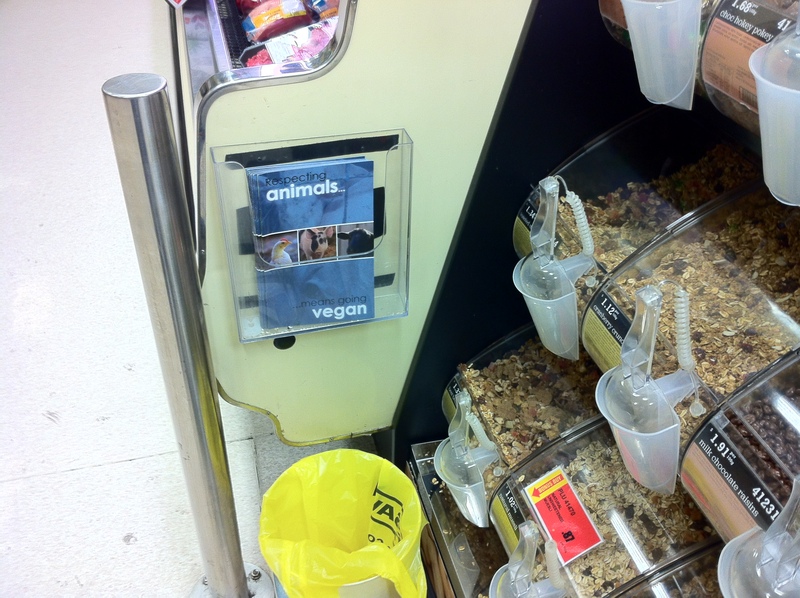 Males who would be killed for being "useless" in the "dairy" industry, ten dollars is more money than the slaughterhouses would pay to buy them.